Dr Michael Lange briefly describes all new Fortifeye Super Protein. 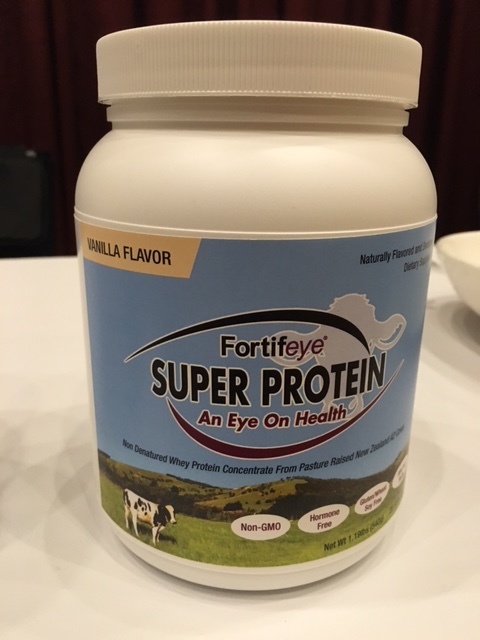 Fortifeye Super Protein is an all new Non Denatured whey protein concentrate from grass-fed New Zealand A2 cows. These are cows that have never been genetically altered that feed year round on pesticide free grass pastures in New Zealand. This protein is rBGH & rBST hormone free, antibiotic free, non GMO, soy free, corn free, wheat free and gluten-free. A2 milk is produced from A2 cows which have the protein A2 beta casein which is differnt form the A!1 beta casein produced by A1 cows. A2 beta casein is the original form of beta casein produced by cows 1000s of years ago. A1 beta casein is believed to have occurred 1000s of years ago from a series of genetic mutations. A2 cows milk and beta casein is believed to be more nutritious than A1 and actually have some preventative aspects to the protein. This is a non denatured whey protein concentrate that means no excessive heat or acid has been used in the creation of this whey protein concentrate. Another name would be undenatured whey protein concentrate. Undenatured whey protein is the same thing as non denatured whey protein concentrate. A whey protein concentrate is more natural and less processed than a whey protein isolate. This protein has not been stripped of the immunoglobulins and healthy fats that are crucial for absorption of the protein and enhancing the immune system. Fortifeye Super Protein contains the full range of immune building and regenerative components like: CLA, Lactoferrin, Immunoglobulins, peptides, growth factors and covalent bonded cysteine ( precursor of glutathione). Fortifeye’s non denatured whey protein concentrate has gone through the processes to preserve and maximize the biological activity and bio availability of the whey protein. This protein has two delicious creamy chocolate and vanilla flavors. Only organic and natural flavorings have been used in this product. 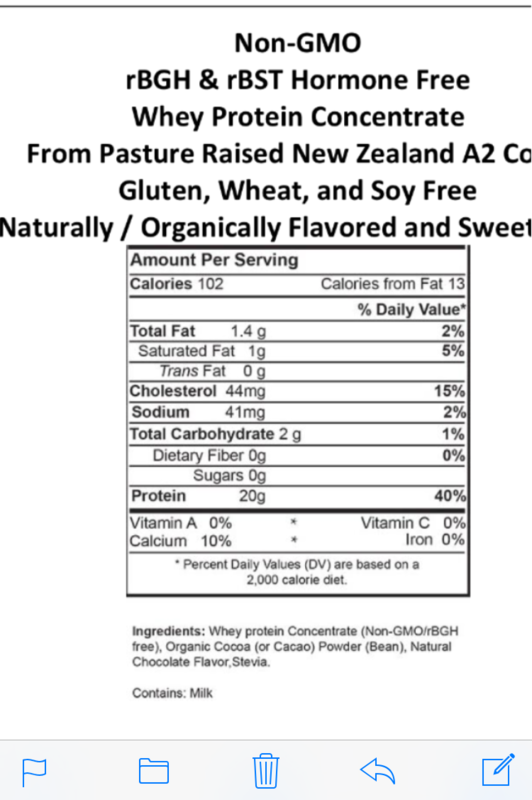 Adding a good non denatured or undenatured whey protein concentrate from free range grass-fed A2 cows to your daily nutritional regiment is a step in the right direction of anti-aging. Fortifeye Super Protein will be available mid to late November at www.fortifeye.com and thru many anti aging physicians offices. ← Is the blue light u are being exposed to daily from your computer, tablet, smart phone, television and indoor lighting harming you?